GRID has achieved approval for its first major scheme in Birmingham. Called Snow Hill Wharf, the proposal for St Joseph is located in the historic Gun Quarter district. The multi-building development provides over 400 new dwellings between 3 and 21 storeys high. The tallest sits on the banks of the Birmingham and Fazeley Canal and will be the first ‘tall building’ in the area. 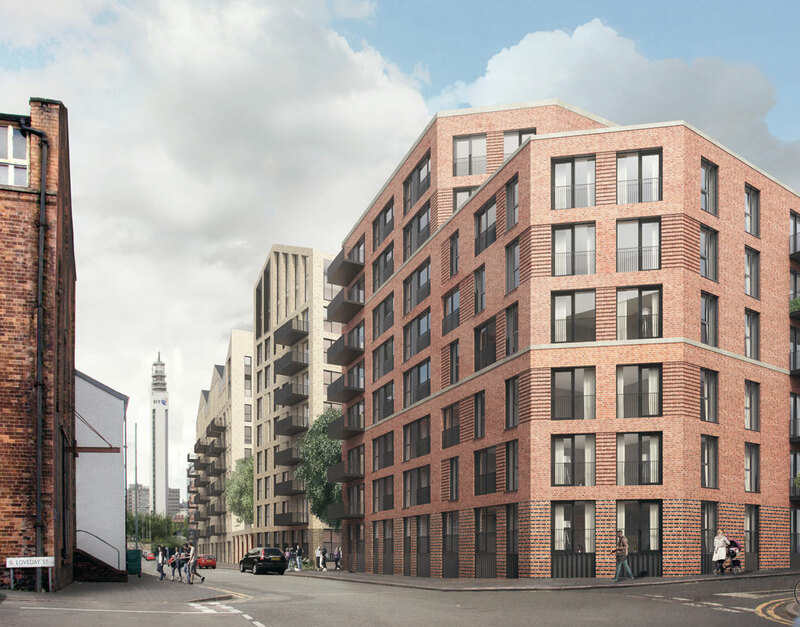 The scheme will contribute over 400 dwellings to Birmingham’s housing need and is fully expected to trigger wider regeneration in this under-utilised yet sustainable part of the city centre. Birmingham is re-establishing itself as a place to live and work, particularly in the city centre. Its Big City Masterplan presents an aspiration to grow the city core out into the surrounding areas, such as the Gun Quarter, to bring life to the city’s ‘inner ring’ of former industrial land. The Gun Quarter is the centre of Birmingham’s industrial history where a ‘thousand trades,’ working metal and timber, were to be found within a short distance of the canal. Snow Hill Wharf is a site where the council is keen to see investment in high quality residential environments by experienced regeneration experts like St Joseph. The site is located on the canal in close proximity to the city’s Grade II* listed Roman Catholic Cathedral, St Chads. The proposal, within five unique buildings, celebrates the areas character and creates new activity on the street, new public realm, street trees and waterside gardens. 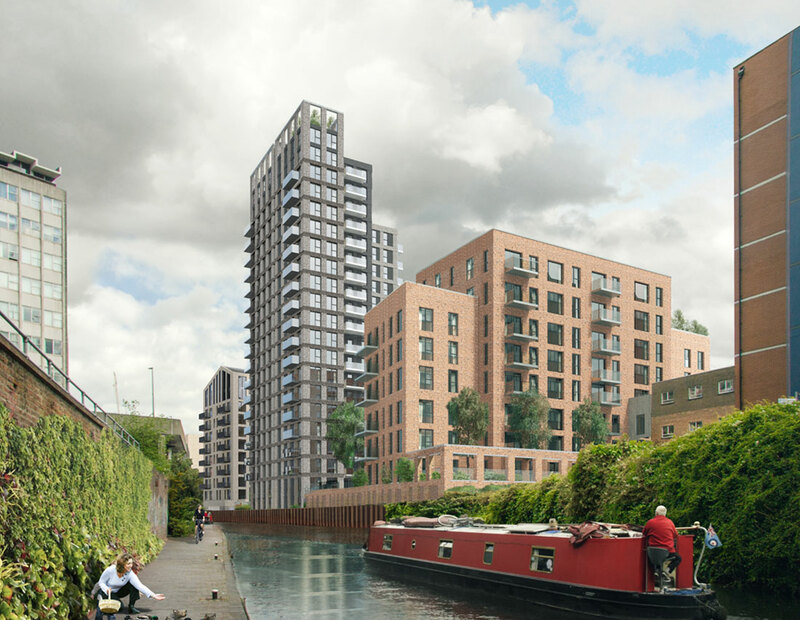 Working within new regeneration areas has been a staple of GRID’s portfolio having developments in Nine Elms and Wood Wharf on site, Wembley sites both completed and in design, and Brentford Locks progressing towards a planning application later in the year.